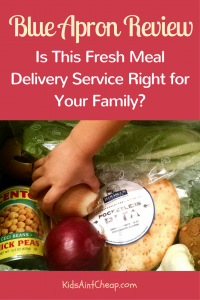 You are here: Home / Product Reviews for Parents / Blue Apron Review: Is This Meal Delivery Service Right for Your Family? Blue Apron Review: Is This Meal Delivery Service Right for Your Family? Blue Apron’s meal delivery service was just the reboot my family needed to try fresh meals and food combinations we’d never experienced. As a mom, meal planning is a huge part of my week. Sometimes, I get stuck on autopilot with family favorites like pizza, tacos, or breakfast for dinner. Or peanut butter and jelly. We all know how much time and effort it takes to cook a new meal from scratch. So, here is a Blue Apron review. 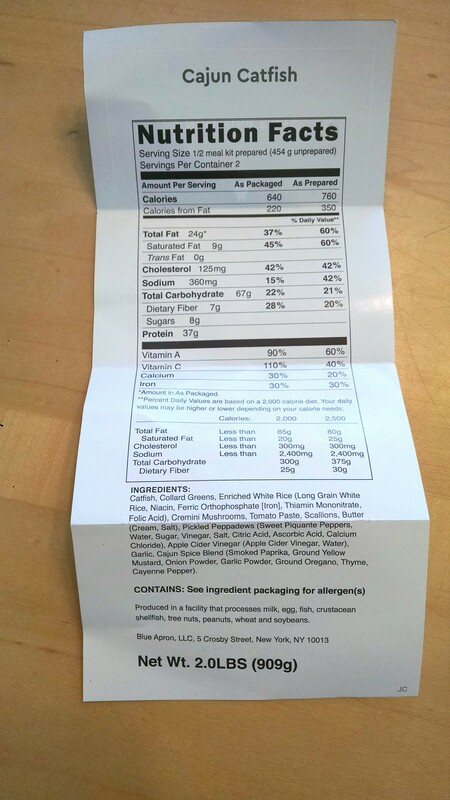 What if someone just handed you a box of ingredients and a recipe so you could finally try out some new, healthy meals? Want to know what goes into cooking a Blue Apron meal? Check out these real families trying it out for the first time in this video. 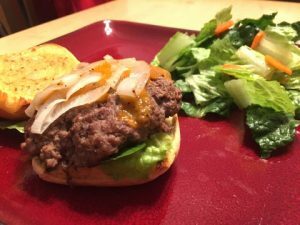 My Blue Apron Review: Is It Right for Your Family? A box showed up on my doorstep a week later. My kids could barely contain their excitement. I was psyched, too. Upon opening the box, we discovered colors and shapes and textures all waiting to be diced, sauteed, and garnished. It was delightful. I loved the freshness of it all. It truly was a chance to cook gourmet meals from scratch as a family. Each meal comes with clear instructions. The kids loved looking at the step-by-step pictures and matching the foods with them. With any review comes the honest observations of pros and cons. I feel it’s only right to share both sides of my experience with you. Blue Apron completely transformed my kitchen. The aroma of Cajun rice with red peppers cooking next to two catfish fillets with sauteed collard greens was a thrill for my senses. Also, the food was delicious. I’m so glad I didn’t get to decide what meals arrived because I would never have braved these new flavors. They weren’t kidding when they said food from scratch is best! Blue Apron also gave me the gift of education. I was able to teach my children about the meals, the seasonings, the nutrition in each food, and so on. My daughter bragged to her friends, dolls, and everyone in earshot that she tried a radish for the first time (Blue Apron sent a recipe for a kale and radish salad). I love that my kid took pride in eating healthy food. Note: My kids are too young for using a knife, but if you have older kids, this is a great opportunity to teach them some important food prep/kitchen safety skills they can carry into their own lives down the road. Every recipe had something spicy which didn’t work so well for my 2-year-old. If you have younger kids, you may need to keep leftovers handy or whip up something on the side. That did take more time and effort. Also, the prep time before meals is fairly time-consuming. That makes sense with meals from scratch, but the estimated prep time on each recipe card was much shorter than what it took me to wash, dry, mince, and chop everything. With both kids hovering nearby and no sous-chef, it simply took extra time. Make sure you factor that in when you plan your evening so that you’re not serving dinner at 8:30 PM (that may or may not have happened on Day 1…). The most obvious potential drawback is the expense. Family meals per week are between $70 and $140. That’s a significant investment many can’t afford to make. The health benefits could, however, be worth it in the long-term. Blue Apron has become my unofficial culinary school. Since trying it, I’ve branched out and purchased new ingredients at the store like fresh salmon and, yes, catfish fillets. Although my husband and I agree that Blue Apron isn’t something we can afford continually, I’d love to try it out with the kids when they’re a little older. What a great way to make some memories, learn an awesome skill, and eat healthier. If you don’t think this is a good fit for your family, consider it for when the kids get older or give it as a housewarming or wedding gift. Ready to give Blue Apron a try? Click here to get started. That link is also good for $30 dollars off your first order. 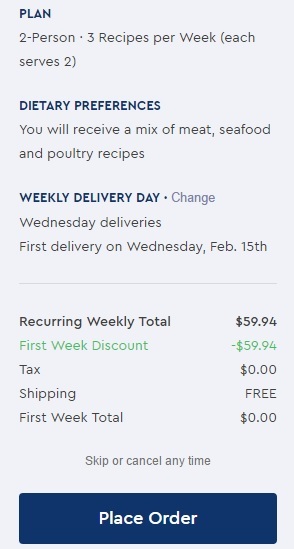 Full disclosure: I obtained three free meals for the purpose of reviewing Blue Apron. However, the opinions and thoughts shared below are entirely my own. If you enjoyed this article please leave us a comment below or share it on social media. 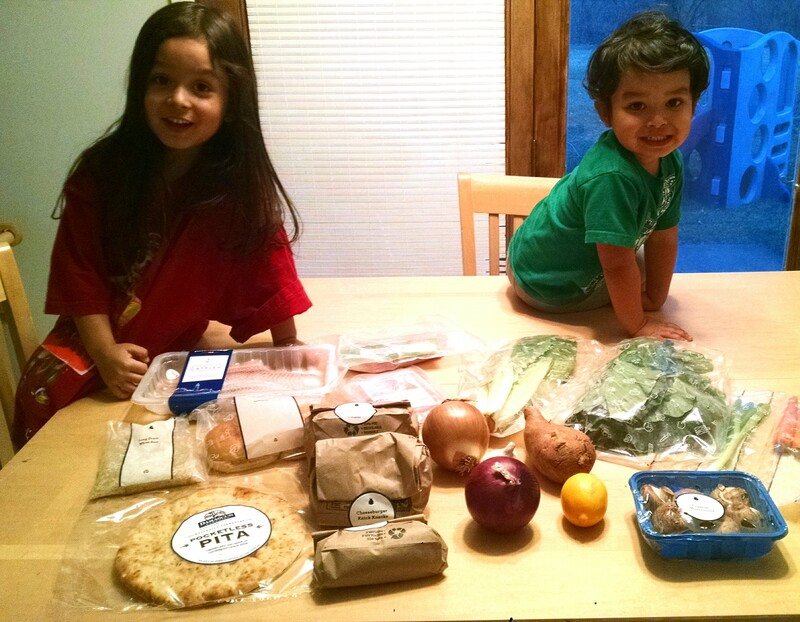 Here are Blue Apron reviews from our friends, Budget and invest, Thousandaire and Cleverdude. P.S. Are you a stay-at-home mom? Make sure you bookmark or pin some of these resources for later!